Description - Slate Flex Tiles offer an upscale PVC floor tile that can be used in garages as well as in areas where a more decorative floor surface is desired. Slate Flex Tiles include a hidden interlock system and a natural slate pattern finish. 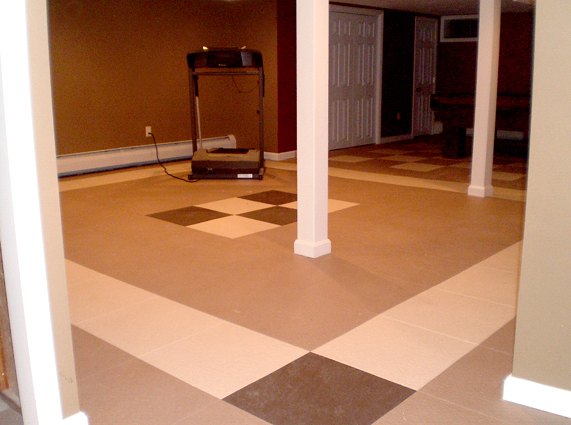 These floor tiles are also available in a vast array of different colors that can be combined to for a custom modular garage floor design. Flex Tiles also include a 25 year wear warranty so you can be sure that this attractive floor covering will last for years to come. Material – Slate Flex Tiles are constructed of a proprietary blend of flexible PVC that guarantees the most durable garage tile on the market. 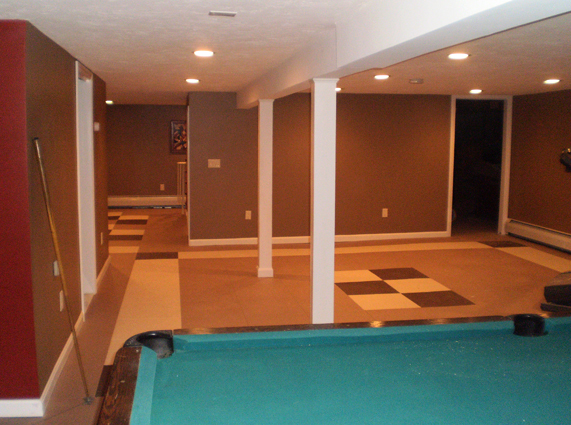 This custom PVC blend also ensures that the tiles are flexible and have the anti-fatigue flooring qualities often associated with rubber flooring but also the durability, long life, and chemical resistance associated with PVC tiles. Recommended Uses – Slate Flex Tiles have been used successfully in a variety of places. 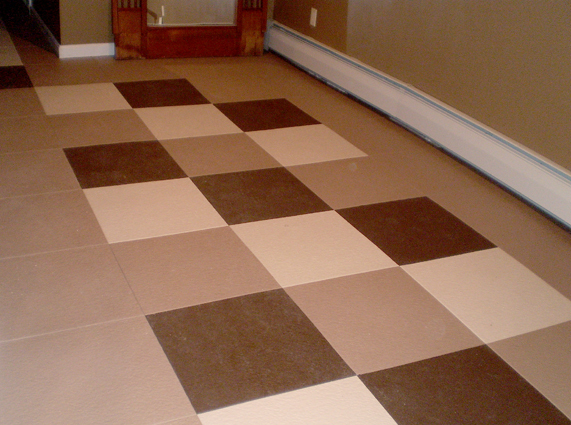 The designer surface pattern these PVC tiles provide allow the tiles to truly act as a multi-use floor covering. Some common ways these flexible tiles have been used before include as modular garage flooring, as mud and entry way flooring, in basement and utility rooms, and as rec room flooring. This was the last room to be remodeled in our late 50's home. The house was moved to the site in 1961 and needless to say, we have some issues in the house with the "not so flat" sub-flooring. This product was the answer to the "issues" we had. 2 days and the install was complete (did it myself). Take your time, be patient and measure twice. We covered the office, into an attached Bath and walkin closet. The floor is laying flat on a not so flat floor and no lifting at any seams. It's easy to clean and so far, shows no marks. The only down side is the noise from the office chair rolling across a textured surface. 3 quick install tips: 1, change blades often on the box cutter or tile knife. It will make the cutting cleaner and much easier. 2, Place an old white sock over the head of the rubber mallet used to set the seams. 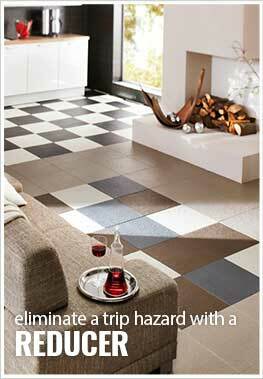 This will not only help the mallet slide a little, but prevent it from making any black marks on the tiles. 3. Order more than you think you need. There is lots of waste due to the tile being installed in one direction only. Great product.